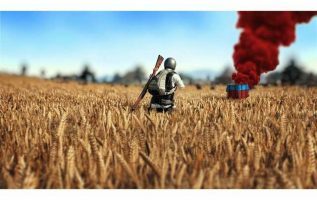 One of the worst kept secrets of the year, PUBG (PlayerUnknown’s Battlegrounds) comes to the PS4 later this month, after gracing the Windows PC and Xbox One as well as iOS and Android as PUBG Mobile. The Xbox One edition of PUBG hit version 1.0 in September and the game is now prepped for a PS4 release. From the PUBG PS4 release date, start time, download size, and possible PUBG PS4 Pro enhancements, here’s what you need to know about developer PUBG Corp’s battle royale shooter. PUBG PS4 release date is Friday, December 7 the world over. As the PlayStation Network (PSN) supports local timezones, PUBG PS4 start time is 12am on December 7 in your region. This makes the Indian PUBG PS4 start time and release date is 12am IST on December 7. The PUBG PS4 price is Rs. 1,999 on disc ($30 in the US). With the digital version of the base game known as the PUBG Looter’s Edition being Rs. 2,750 ($30 in the US), a 3,999 Champion’s Edition ($60 in the US), and a Rs. 2,750 Survivor’s Edition ($50 in the US), there are options aplenty. As for which version to get, we got you covered. You can pre-order PUBG PS4 digitally via the PS Store right now. If you’re looking for a disc copy, select retailers are taking pre-orders well. While buying it digitally would let you play it quicker due to being able to preload the game ahead of time, buying it on disc is cheaper in India as it’s Rs. 1,999 versus the PS Store price of Rs. 2,750. The core gameplay of PUBG PS4 remains unchanged from any other version of the game. For the uninitiated, it’s simple. In this online multiplayer shooter, up to 100 players are parachuted onto a large map and start off with no gear aside from cosmetic clothing options that don’t impact gameplay. On landing you’ll have to scavenge for guns, grenades, items, and armour, which are distributed at random, killing players as you come across them. You can switch between first-person and third-person perspectives. The game map shrinks every few minutes, forcing you to relocate to a new area, and damaging you until you do. Failing to enter a new safe zone results in death. If you’re the last player standing, you’re greeted with the phrase ‘winner, winner, chicken dinner’. You get in-game currency at the end of each round that you can use towards purchasing cosmetic gear to kit out your character. It’s odd that the PUBG Survivor’s and Looter’s Editions sport the same price point in India. Perhaps it’s an error on Sony’s part that will be rectified shortly. The PUBG PS4 download size is 33.51GB. Bear in mind that the file size may differ according to the region you’re in, depending on language packs and the like. Safe to say that there may be a day one patch too given the game’s always online nature, though exact details are unknown at the moment. The PS4 Pro version of PUBG gets HDR support according to a support page on the official PUBG website in addition to some ‘performance improvements’ that are yet to be detailed. These most likely have to do with a higher frame rate and resolution though specifics are yet to be made public. Does PUBG PS4 need a PS Plus subscription? Yes it does. 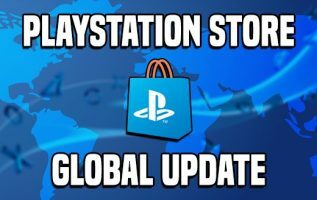 You won’t be able to play PUBG PS4 without a PlayStation Plus (PS Plus) subscription – Sony’s multiplayer service needed to play online games. This is unlike Fortnite, Final Fantasy XIV, and Destiny 2, all of which can be played on PS4 without PS Plus. Thankfully, you don’t need to use your credit or debit card to buy a PS Plus subscription with Sony bringing PS Plus cards to India. The prepaid cards have two denominations, Rs. 1,869 for three months and Rs. 4,439 for one year. In our PUBG PC review, we stated that it’s an interesting addition to the shooter landscape bogged down by poor frame rate and a myriad of other technical issues. Will the PS4 version be any different? Find out in our review soon.